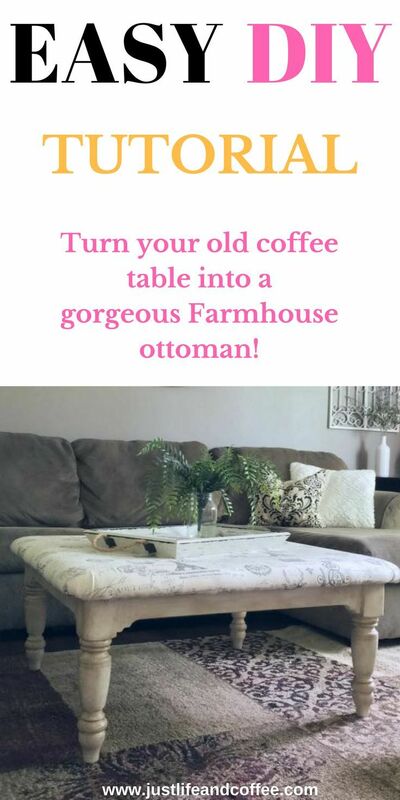 Check out this super easy DIY tutorial for turning an old coffee table into a gorgeous farmhouse ottoman! I show you my simple steps to adding the cushion top and painting the base. This is an easy and inexpensive way to give your coffee table a makeover! Previous articleDIY Crafts : How To Build A Rolling Grill Cart – full tutorial and free plans!